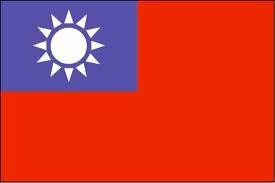 Starting in November 2012 Taiwanese citizens will be able to travel visa-free to the United States, further confirming the close relationship between the two countries. The United States has announced visa-free travel for Taiwanese citizens looking to visit the country. The waiver, which begins November First, will allow Taiwanese visitors to enter the United States for up to 90 days without a visa — a privilege enjoyed by 36 nations. China is not one of them. White House and State Department officials announced the move Tuesday, saying the waiver program is consistent with close relationship shared between the U.S. and Taiwan. Secretary of Homeland Security Janet Napolitano says she expects the waiver to boost Taiwan's arrivals. More than 200,000 Taiwanese visited the United States, last year. Washington officially recognizes Beijing, but maintains close relations with Taiwan and is its leading arms supplier. The visa waiver comes just two months after Taiwan's parliament lifted restrictions on American beef imports.